In the 18th century, five men created the biggest industrial city civilization had ever seen. They were the Iron Masters, masters of metal and men. Their cannons saved a kingdom, forged the greatest empire in the world, and changed the history of the human race. Intrigue, bribery, adultery, and murder were common in Merthyr Tydfil, a town where the furnaces burned day and night, the sun seldom pierced the soot filled sky, and the Iron Masters ruled without pity. Nye Vaughn, a humble farm boy, walked to Merthyr to find his destiny, unaware that a war was coming which would engulf the known world and make bold men rich. To fight Bonaparte, Britain needed cannons, thousands of them. Vaughn built the largest foundry of them all and made his fortune, but when the world changed, the iron behemoth he constructed turned on him. 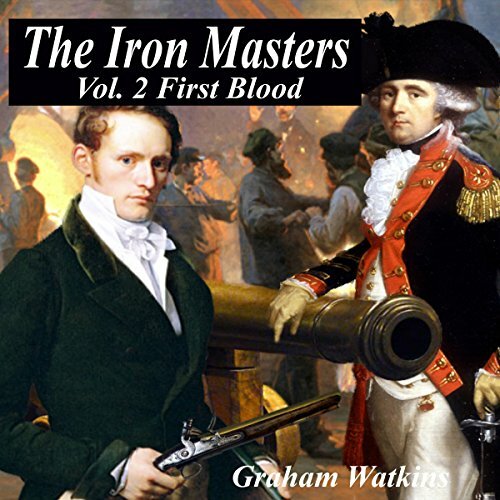 Graham Watkins joins the ranks of historical authors as he weaves fiction and fact together. 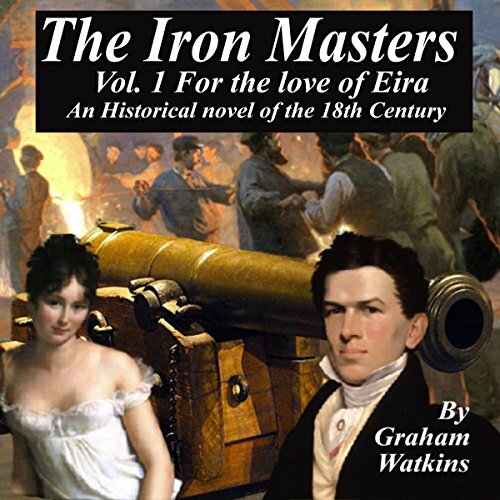 The Iron Masters is a story of family, greed, betrayal, and war. It's scope is epic from Wales to Baltimore, from the age of sail to steam railways, from the Battle of Trafalgar to the defiant raising of the American flag over Fort McHenry, signalling the confidence of a new, powerful nation. Many of the characters and events are true and reveal an amazing time in our history. Above all, The Iron Masters is about extraordinary men and women and how they deal with life’s challenges. If you enjoy a classic novel and are interested in stories set in Georgian Britain when Wales was the British Empire's armorer, this is a story you will appreciate. Volume 1: For the Love of Eira deals with Nye Vaughn's life from 1780 to 1786. It is the first book of five and the beginning of his adventure. In the 18th century, five men created the biggest industrial city civilization had ever seen. They were the Iron Masters, masters of metal and men. Intrigue, bribery, adultery, and murder were common in Merthyr Tydfil, a town where the furnaces burned day and night, the sun seldom pierced the soot filled sky, and the Iron Masters ruled without pity. Nye Vaughn, a humble farm boy, walked to Merthyr to find his destiny, unaware that a war was coming which would engulf the known world and make bold men rich. To fight Bonaparte, Britain needed cannons, thousands of them. In the 18th century five men created the biggest industrial city civilization had ever seen. They were the Iron Masters, masters of metal and men. Their cannons saved a kingdom, forged the greatest empire in the world and changed the history of the human race. Intrigue, bribery, adultery, and murder were common in Merthyr Tydfil, a town where the furnaces burned day and night, the sun seldom pierced the sky, and the Iron Masters ruled without pity. Nye Vaughn, a humble farm boy, walked to Merthyr to find his destiny, unaware that a war was coming that would engulf the world. In the 18th century, five men created the biggest industrial city civilization had ever seen. They were the Iron Masters, masters of metal and men. Nye Vaughn, a humble farm boy, walked to Merthyr to find his destiny, unaware that a war was coming which would engulf the known world and make bold men rich. 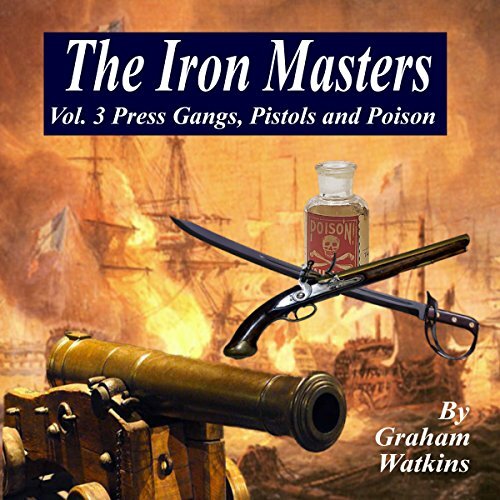 Volume 3: Press Gangs, Pistols, and Poison is the third in the series of five and recounts the story of the Iron Masters from 1795 to 1805, a time of Nelson's great sea battles, press gangs, poison, and steam engines. In the 18th century, five men created the biggest industrial city civilization had ever seen. They were the Iron Masters, masters of metal and men. Nye Vaughn, a humble farm boy, walked to Merthyr to find his destiny, unaware that a war was coming which would engulf the known world and make bold men rich. 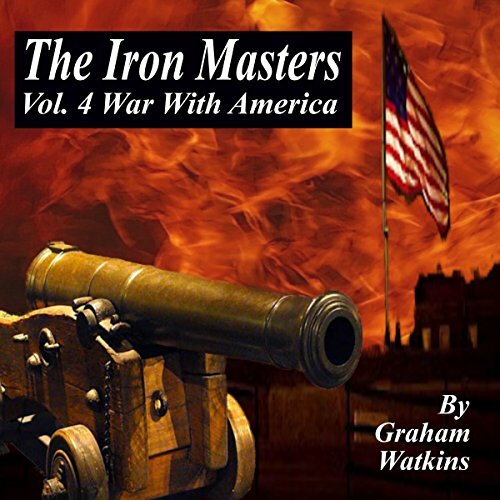 Volume 4: War with America, the fourth of five volumes, begins with Admiral Nelson's funeral in St. Paul's Cathedral in 1806 and continues the story as war with America becomes inevitable. In the 18th century, five men created the biggest industrial city civilization had ever seen. They were the Iron Masters, masters of metal and men. Nye Vaughn, a humble farm boy, walked to Merthyr to find his destiny, unaware that a war was coming which would engulf the known world and make bold men rich. 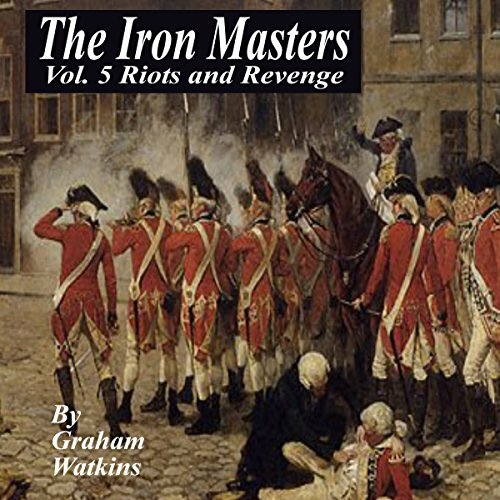 Volume 5: Riots and Revenge begins in 1816. It's a new age; Napoleon Bonaparte has been beaten on the battlefield of Waterloo and has surrendered to the Royal Navy. The world is at peace. The Iron Masters face a new challenge, and the consequences for Merthyr are serious.